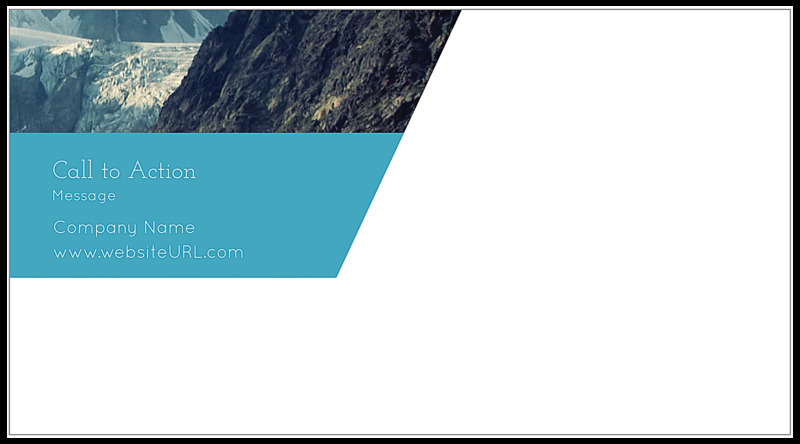 Our Mountain High postcard design template will lift your response rate upwards. Ideal for any business or organization looking to reflect upward movement, Mountain High will help you promote your business’s products, services, or special event or your organization’s cause. Mountain High is available in four different color schemes to match your brand. 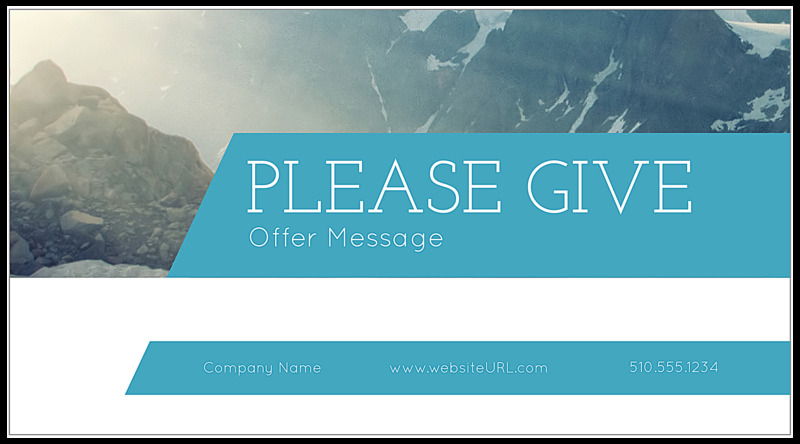 The front top features a mountain view image with a colored banner for your custom message. The bottom has a white background with a color banner to customize to highlight your company’s or organization’s information. The back features an asymmetrical corner image and banner that can be customized with your message and call to action. Customize your postcard design now with our easy-to-use online postcard maker! Our online design tool lets you create and print your custom postcards featuring your own company or organization name, website URL, image, logo, message, and more—anything you want! Just pick your template from our professionally-designed template design library, then follow on-screen prompts as they guide you through customizing each text and design element. It’s fast and easy! And when you’re done designing, you can print a shareable PDF to get valuable feedback before printing your custom postcards. You can expect only the best from PsPrint, from premium paper stocks and vibrant inks to high-quality printing and excellent value. And, all our projects are backed by a 100% customer satisfaction guarantee, so you know you’ll be delighted with your final product! Need some help turning your vision into reality? Our friendly custom printing team is on standby to lend assistance when needed. PsPrint also offers a full suite of other print marketing materials tools to meet your needs, including business cards, stickers, and door hangers, and more!